$131 Million Over 10 Years for Cycling! On June 12, the Mayors Council release their Regional Transportation Investments, A Vision for Metro Vancouver which includes a 30 year vision and a 10-year investment program. The 10-year program includes significant investment in transit, cycling, walking and roads throughout the region. 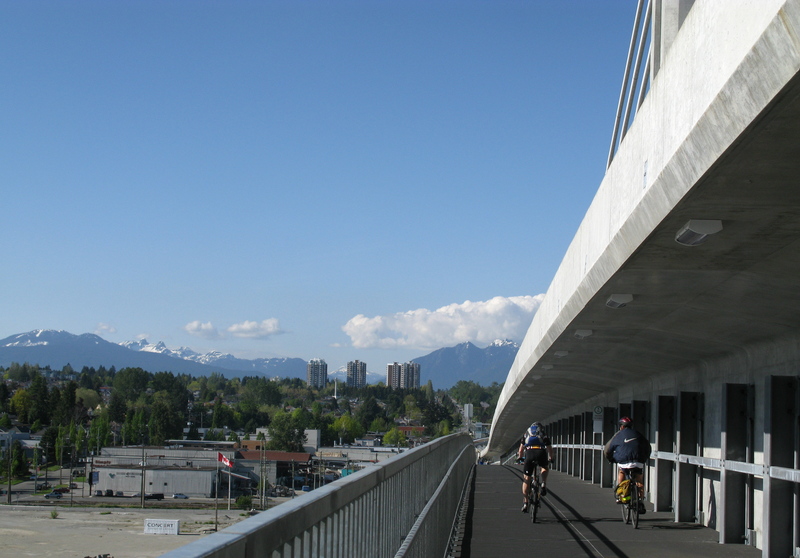 The proposed new four lane Pattullo Bridge will include high quality cycling and walking facilities. Funding from the Capital for Minor Major Road Network (MRN) Upgrades program ($200 million over 10 years) can also be used for cycling and pedestrian projects. 2,400 km of designated bikeways, such as marked bike lanes or neighbourhood street bikeways with bicycle-permeable traffic calming. One of the actions identified in the Regional Cycling Strategy is to define and implement the Major Bikeway Network (MBN) of high quality regionally significant routes that parallel and connect to the rapid transit system and regional gateways. These routes should be traffic-protected to the extent possible. 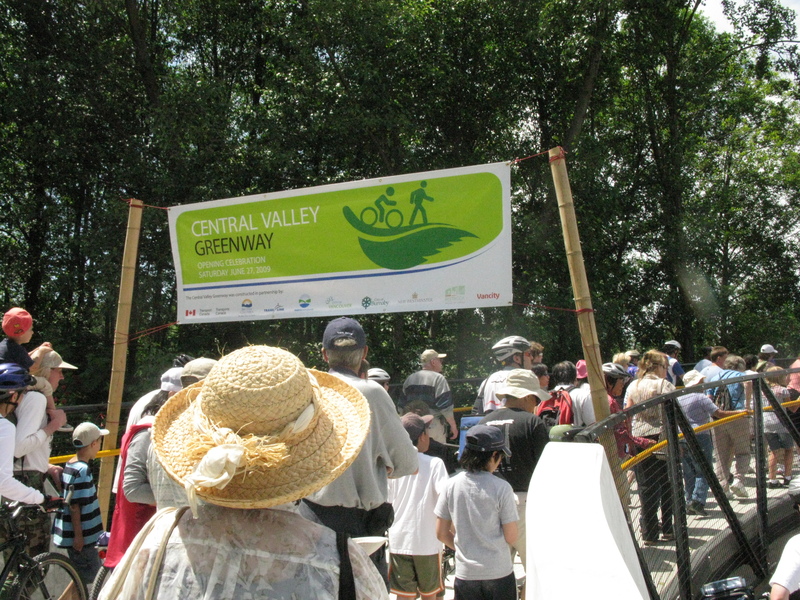 Examples of specific projects that could be designated as part of the MBN are outlined below, including upgrading the BC Parkway and completing the Central Valley Greenway, North Shore Spirit Trail, Evergreen Bikeway, and routes South of Fraser to parallel future rapid transit lines.This program would augment the existing Bicycle Infrastructure Capital-Cost Sharing (BICCS) program to provide cost-share funding to support an additional 300 km of traffic-protected bikeways and 2,400 of designated bikeways throughout the region, as identified by municipal transportation and cycling plans. Facilities would generally be constructed on a cost share basis with municipalities, but the cost share amount may vary depending on facility type and regional priority. Cost share funding would be ramped up over the first 5 years of the plan to ensure sufficient time to build matching funds into municipal capital plans. TransLink-owned assets would be funded at 100%. Regional priorities such as traffic-protected bikeways in Urban Centres and key links on the MBN would be cost-shared at up to 75%. All other municipal bikeways would be eligible for cost-sharing at 50%. If we do nothing, walking, cycling and transit will only account for 27% of trips by 2045, far short of the target of 50%. The Plan will get us to 36%. It is a great start, but much more will need to be done though to met regional targets. Lets get this plan moving forward then work on meeting the 2045 targets. The Mayors preferred choice, was for the Province to help fund the improvements through a portion of the existing Carbon Tax collected in the region then shifting to mobility pricing at some point in the future. This would increase the effectiveness of the Carbon Tax by providing more people with better sustainable transportation options. Now, the Carbon Tax revenue was used to cut taxes so essentially this funding would have come out of general revenue. The Province is projecting surpluses of hundreds of millions of dollars in the coming years. There is a strong case to use some of this to help improve transit, cycling and walking. Ontario Premier Wynne, who just scored a dramatic election win, is doing exactly that by investing $15 billion in transit around the the Toronto area in the next ten years. Unfortunately, the Province quickly reject using the revenue from the existing Carbon Tax but left the door open to an additional Carbon Tax which, according to Premier Clark’s election platform, would have to be approved by the public in a referendum. Please contact Premier Clark, premier@gov.bc.ca, encouraging the Province to provide more funding for transit, cycling and walking in Metro Vancouver. A good idea to copy Hon. Todd Stone, Minister.Transportation@gov.bc.ca, Claire.Trevena.MLA@leg.bc. ca, your MLA (Find your MLA here) and the Mayors Council, mayorscouncil@translink.ca. 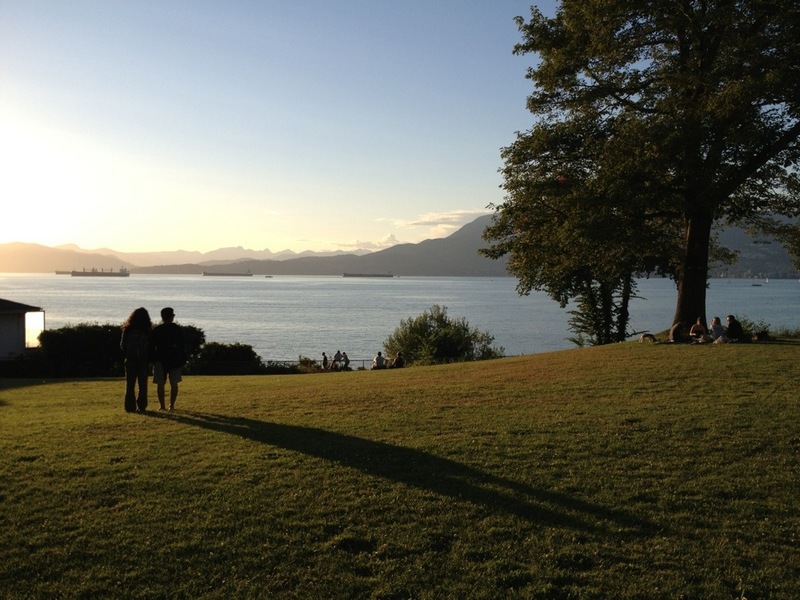 Thanks to the vision and leadership of previous generations, the people of Vancouver today are able to enjoy the many parks along our waterfront. 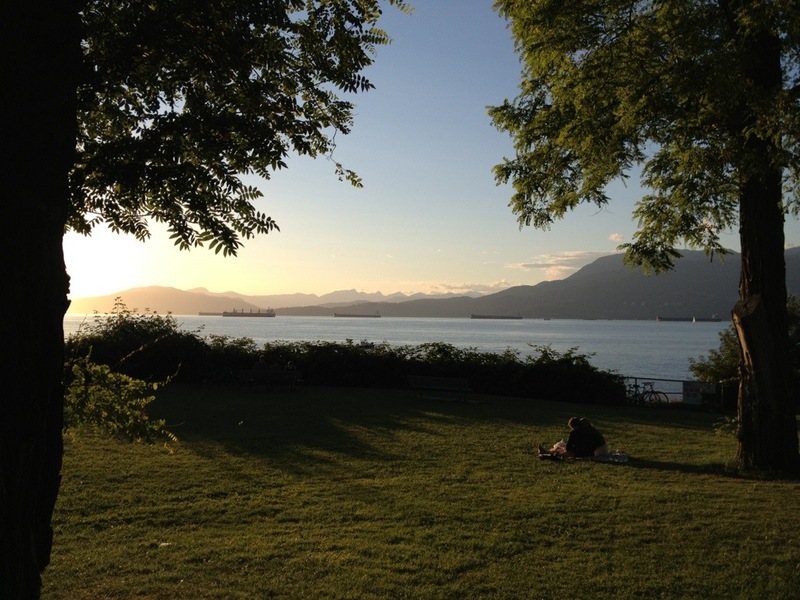 These parks make Vancouver a wonderful city to live in and visit. A hundred years ago, the water was lined with private houses leaving the public with limited access to the water. 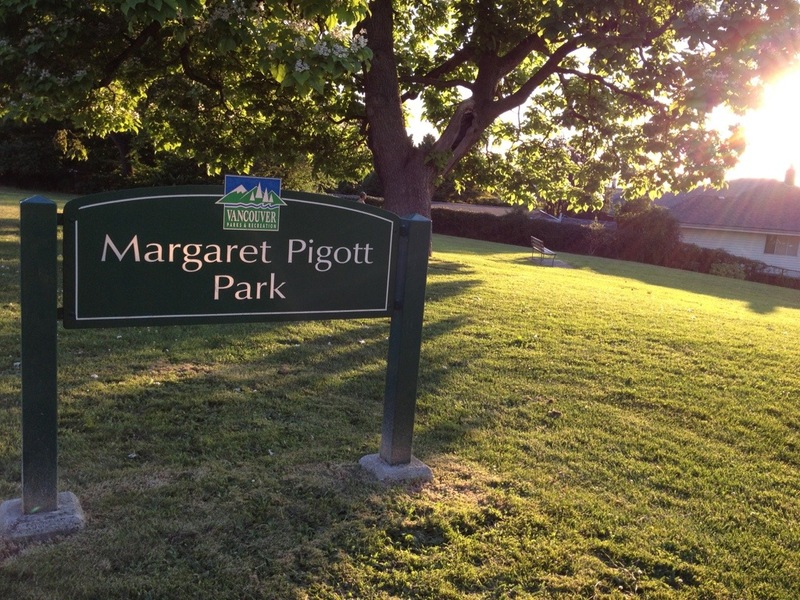 Over the decades, these houses were acquired by the city and converted to parks. 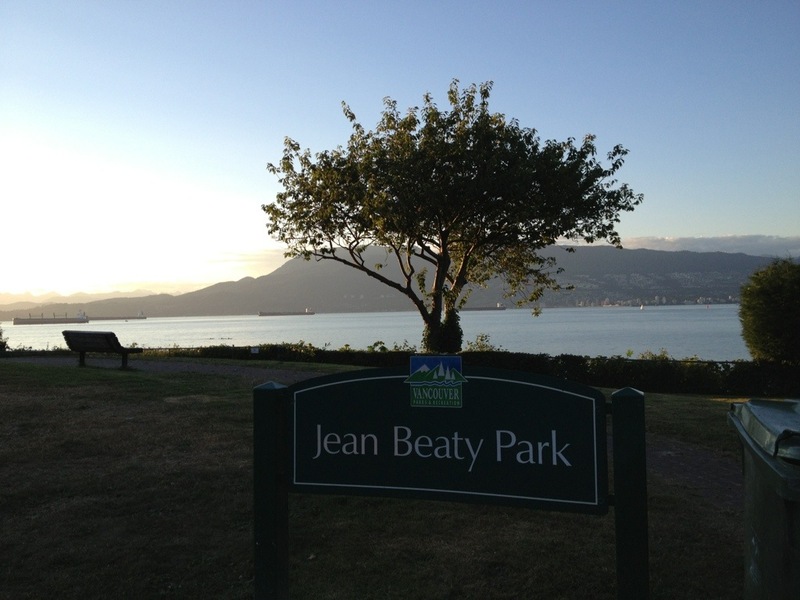 This task was completed years ago along English Bay. Today these parks are on land worth hundreds of millions of dollars. 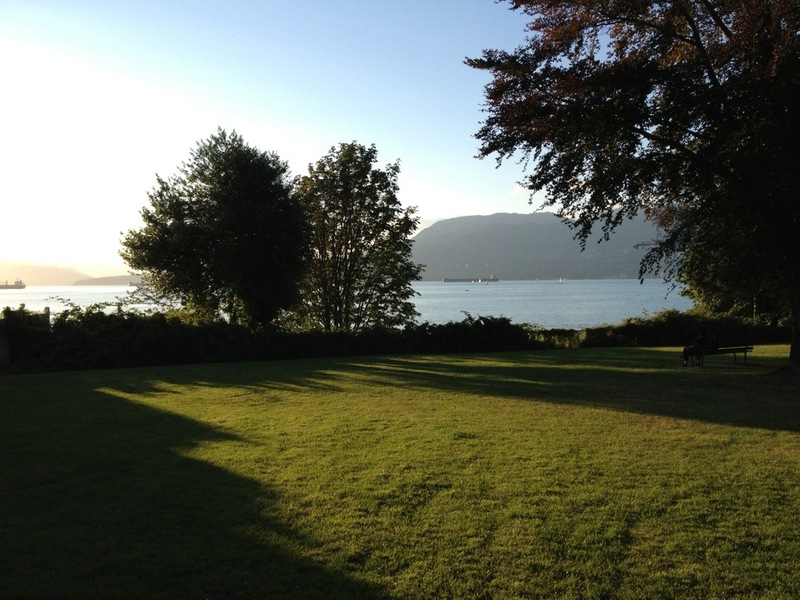 Along Point Grey, some properties were purchased but the prices started really going up so we essentially gave up. 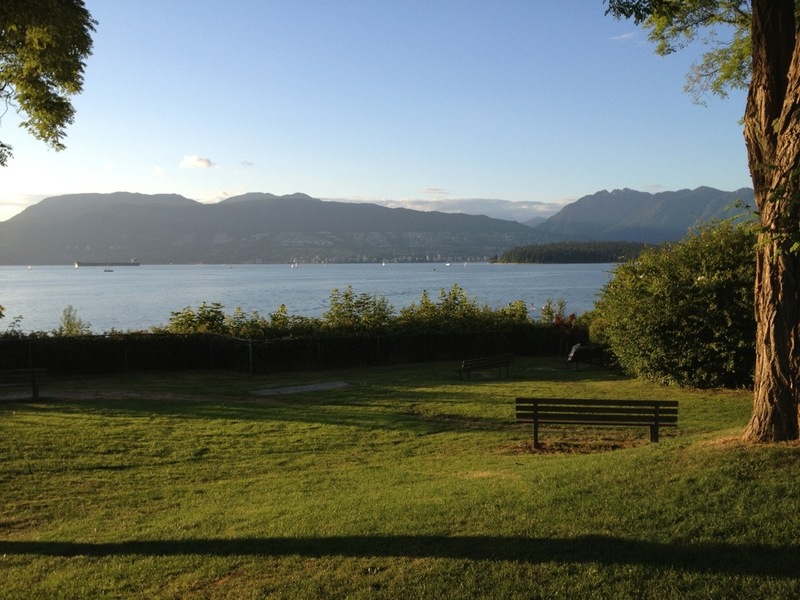 Today, by my quick estimated, the parks lining Point Grey Road would cost around $300 million to acquire. Currently, these parks are rather isolated and difficult to access. Point Grey is not very safe to cycle on nor very pleasant to cycle, walk or run along. Certainly not a pleasant or even safe family outing. There is little free parking so people can’t easily drive there either. The noise of the speeding traffic makes the parks less enjoyable to spend time in. People driving and cycling by would likely get harassed and honked at if they tried to slow down to enjoy the view. Certainly, the we are not able to get fully value of this gift from previous generations with Pt Grey as a commuter route. 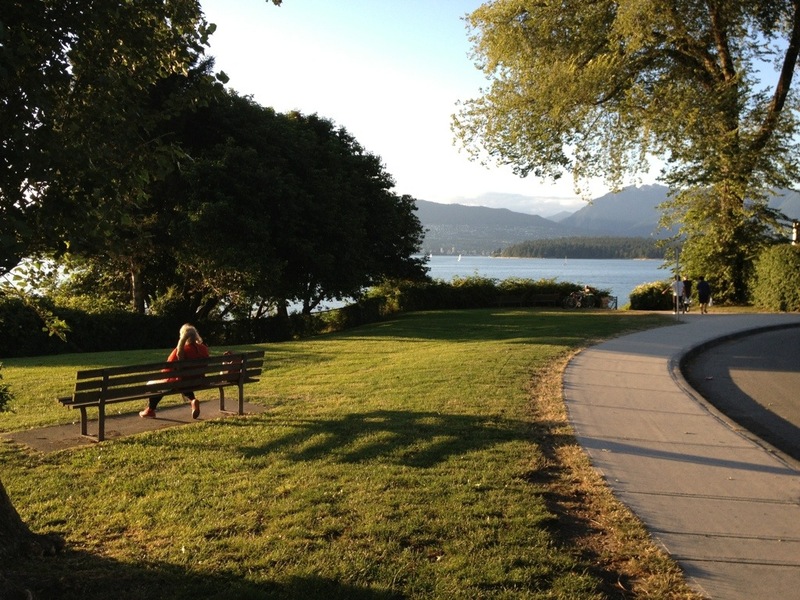 Point Grey Cornwall Greenway proposal to divert commuter traffic off Pt Grey making the street much more comfortable to cycle, walk and run along will give far more people access to these parks. 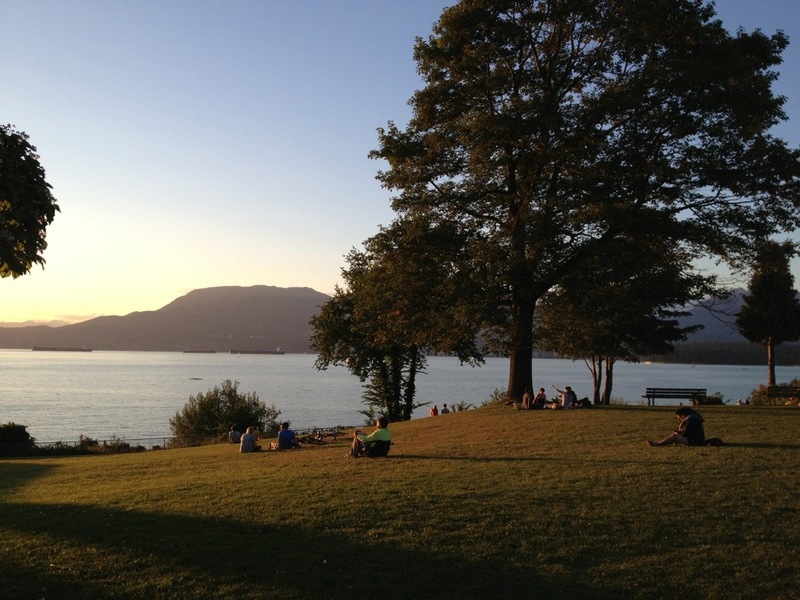 People walking and cycling will be able to enjoy the $300 million views from the parks as they pass by or stop to relax, picnic or enjoy a sunset. To get there by transit, people can jump off the bus at Macdonald and Pt Grey. While the Sun’s headline screams Vancouver’s Point Grey Road set to become a ‘park for the rich’ with new plan restricting traffic, the reality is anyone rich enough to afford a bike, a pair of shoes or a $2.75 bus fare will be able to enjoy the new Point Grey Road. According to a recent survey by the BCCC, almost 80% of people own or have access to a bicycle. Pretty sure nowhere 80% of people in B.C. are rich. For those without a bicycle, there is Vancouver’s new bike sharing system where using the bikes will only cost $5 a day and $95 a year, hardly a fortune. For those who can’t ride a bicycle, separated bike lanes are proving popular with people propelled by power wheelchairs, e-bikes and mobility scooters. 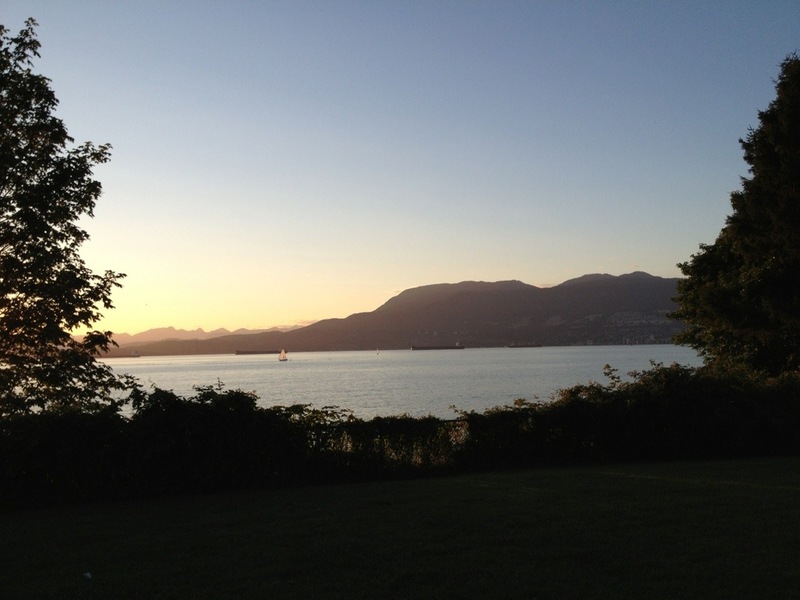 With only 50 or so homes along the Point Grey waterfront, not even most millionaire can buy a piece of the view. 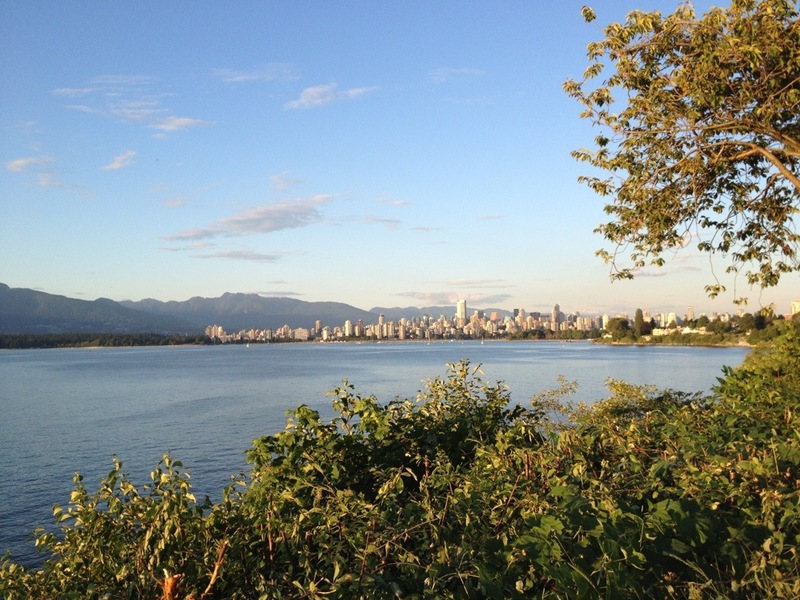 With the Point Grey Cornwall Greenway, everyone will be able to enjoy the fantastic $300 million views! Cities and regions all around the world know the huge economic, social and environmental benefits of rapid transit and are investing billions of dollars in their networks. We live in a global economy and are competing with these other regions for business. The knowledge workers essential for the economy of the future want to live in cities where they can walk, cycle and use public transit. Unfortunately, even after our successes over the last two decades with our investments in transit, we seem to be forgetting about the huge benefits and are focusing way to much on the capital costs. Both Broadway Subway to UBC and Rapid Transit in Surrey are critical investments for the region. The Broadway Subway will serve the growing number of people working and living along the Broadway Corridor and at UBC. It will also provide people living in Burnaby, Coquitlam and Surrey with better connections to the Airport and Richmond. Rapid Transit in Surrey will help shape growth encouraging the development of vibrant walkable communities south of the Fraser. Both are behind schedule already. SkyTrain to Granville was supposed to be finished by 2006 while the construction of Rapid Transit in Surrey should have already begun. The real judge of these projects will be how much additional revenue will be needed. Unfortunately, the capital cost of transit projects tends to be highlighted. The Broadway Subway to UBC is projected to carry 320,000 trips per day by 2040 including 54,000 new transit trips. The new transit trips will generate an estimated $260 million in additional fare revenue over 30 years (page 132, in 2010 dollars discounted at 6%) while operating costs will be much lower than the buses that are replaced. Taking this into account, the Net Present Cost in 2010 dollars is estimated to be $1.7 billion, much less than the $3 billion capital cost. The Surrey Rapid transit options fare well too in this respect. The $2.2 billion dollar options both have Net Present Costs of around $1.6 billion. All this means that the life cycle costs of both these projects will require somewhat less tax dollars than otherwise might be expected. While the costs of these rapid transit projects are significant, they are well within our ability to pay. In Metro Vancouver, over the last 12 years (most of it over the last 8),$12.26 billion (an average of over $1 billion per year), has been invested in major infrastructure projects. This includes $3.48 billion for rapid transit; $6.9 billion for roads and bridges; and $1.86 billion for BC Place and the Convention Centre. Put in this context, even $3 billion Broadway Subway to UBC and $2.2 billion Surrey Rapid Transit options, are reasonable over the next 10 years with some funds aside for other investments. This region and province definitely have the economic capacity for this level of investment. The population and the economy will be growing so these investments relative to population and GDP will even be more favourable. To put this all in perspective, lets look at what some other regions are investing in rapid transit. Greater Toronto has a rather bewildering array of plans and changing plans. From what I can tell, between TTC, Metrolinx and GO Transit, they have around $16 billion, $2,650 per person, worth of projects underway or at least funded over the next ten years. Metrolinx has just announced an additional $34 billion, $5,600 per person, worth of transit projects and is starting the conversation on how to fund them. Paris is investing over $33 billion in the Grand Paris Express project. This project involves 200km of new automated grade separated metro lines linking suburbs to the core and other regional destinations. In addition, the plan also includes $9.2 billion for upgrades to existing lines and two light rail lines. Together, this amounts to $3,600 per capita from 2013 to 2030. Even cities with little or no rapid transit are realizing the value of transit. Honolulu, with a population of less than half of ours, is investing $5.12 billion,$5,400, per person) over the next ten years in an elevated automated light metro system very similar to SkyTrain. Seattle, with a population of less than twice of ours, is spending nearly $10 billion, $2,600 per person, over the next ten years on a LRT system. Many sections of their LRT are underground or elevated due to their challenging geography. Ottawa is spending $2.1 billion, $2,290 per person, on a partial underground LRT system. The cost increases to almost $2.5 billion, $2,700 per capita, when other project associated including costs road expansion required to detour buses during construction and contingency are added in. While they chose LRT because of its ability to run on city streets, it is looking more and more like their extensions will be grade separated. The UBC Line plus Surrey RT would be a maximum of $2,300 per capita in the region. Arguably for a fairer comparison, as some of the projects in the other cities are under construction now, the Evergreen Line should be included which brings the cost per capita to $2,900. A bit higher than Seattle’s, Ottawa’s and Toronto’s current projects but much less than Honolulu, Paris and Toronto’s next wave of projects. At any rate, the capital costs would be paid over 30 years or so. The cost per person will be much much less than the $10,000 per year it costs to own and operate a newish automobile not taking into account the cost to taxpayers of building and maintaining roads. So, it is time to get on with it. The Province needs to step up and give the region the funding sources it needs to build both rapid transit in Surrey and the Broadway subway in the next decade. Check out Get on Board BC to find out how to support more funding for transit. Its election time. Talk to candidates about transit and encourage them to commit to complete both Surrey Rapid Transit and the Broadway Subway in the next ten years.